As I perused the Table of Contents of this resource, the first heading that caught my eye was Raising a Reader. How appropriate to be reading this during the local newspaper’s campaign having the same slogan. Yes, our business, both in school and at home, is summed up in that phrase, and the book in my hand answers many questions, from why we should, to how can I in my classroom help parents at home. This extremely practical and well thought out volume walks you through the steps of how to start a home and school literacy program. 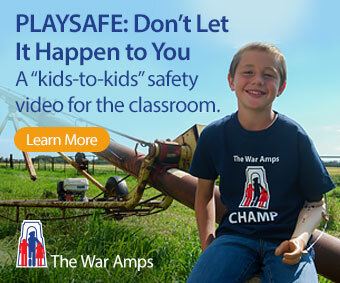 Every aspect is well documented with easy to use and reproduce charts, suggested resources, and just enough theory to give the teacher a quick “here is why” answer to parents. 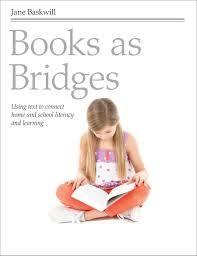 Books as Bridges is most useful to those teaching in the primary grades (pre-k to grade 2). The process of reading is well dissected and each strategy is supported with forms and charts. A variety of texts such as fiction, nonfiction, print and non-print are suggested. It might take a village to raise a child, but everything starts in the home and spreads to the school. This book will help ensure that the process will flow in both directions and has found its space on my professional shelf!